Overall, the evidence presented here points to the conclusion that the impact of the current recession on measures of life satisfaction and indices of mental health and confidence has not been very marked. The population appears to be resilient in the face of major economic hardship. This resilience is something I have seen in my own research - since the depth of the recession in 2009 the dominant emotions have been happiness and enjoyment. So should economists and politicians tell us to 'don't worry, be happy'? Probably not. Firstly, things could be about to get a lot worse on the economic front - 1970s bad (hopefully not 1930s...) This might 'restore' a more direct link between life satisfaction and economic indicators such as unemployment. Which would say is more likely- that in Ireland we'll have continuous good times during the next five years or so, or that we will have periods of widespread unemployment or depression? This is based on the same question analysed by Robert Shiller, which I blogged about here. And the answer? 8 in 10 Irish people (79%) look ahead and see periods of widespread unemployment and depression out to 2016. Just 7% expect continuous good times over the next five years (they're mostly in their 20s, so they might be planning on good times somewhere else). The national narrative is therefore one of considerable anxiety and negativity. Shifting that narrative may take even greater efforts than improving average life satisfaction. 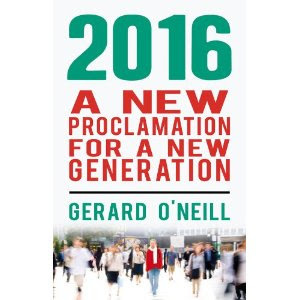 We need a new narrative for Ireland, one that fits with our history, values and demographics. One that is about our engagement with the world, not one of retreat and 'ourselves alone'. Here's my starter-for-ten: Caring for the World. Soooo, essentially older people are happy and see lots of unemployment and hardship (presumably in younger people). Business as usual?